Another step towards a mechanical movement with a 180-day power reserve. 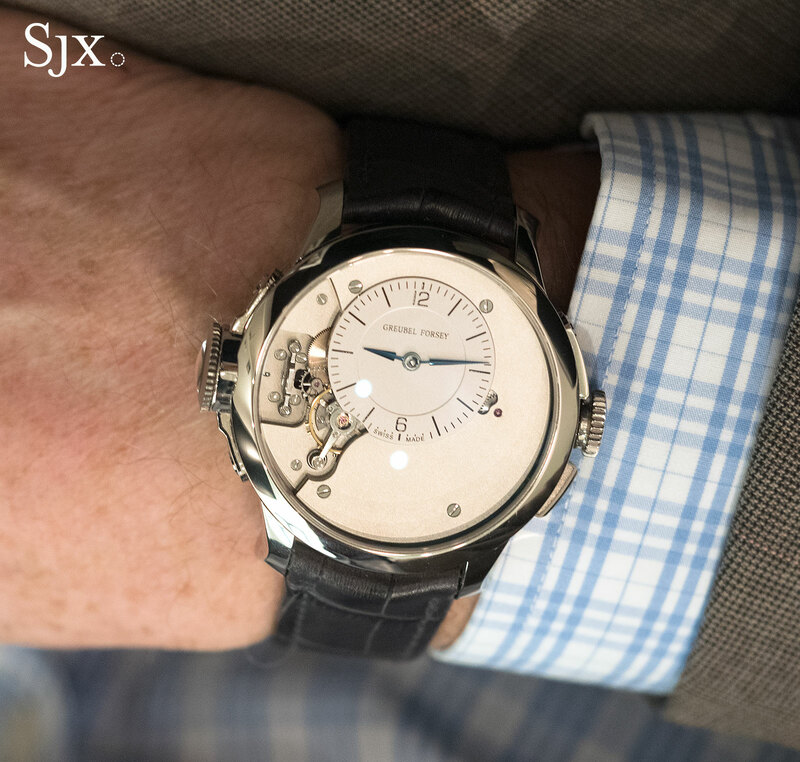 Greubel Forsey teased at a remarkable development at SIHH in January 2017, revealing conventionally sized wristwatch with a 180-day, or half-year, power reserve, titled Mechanical Nano. Little was revealed about the workings of the movement, but it was understood to be miniaturised to a extreme degree and combined with friction-free materials, rendering it exceptionally efficient. 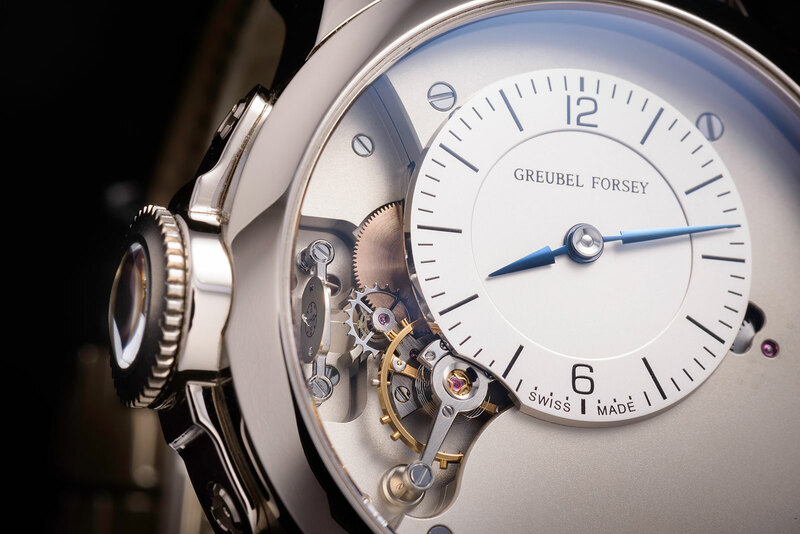 Now Greubel Forsey has given away a bit more, with the announcement of the Nano Foudroyante EWT. The name explains it all: a unbelievably tiny lightning seconds, or foudroyante, mechanism. 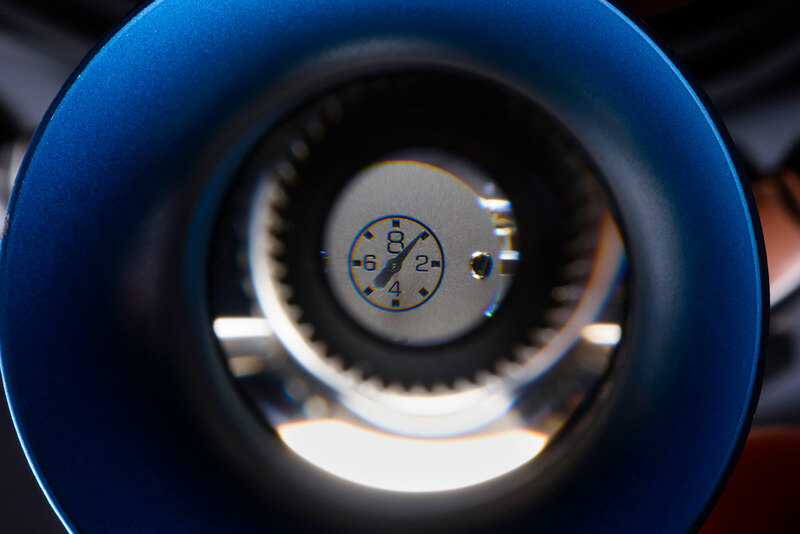 In fact, the Nano Foudroyante EWT takes up 96% less space than a conventional lightning seconds, according to Greubel Forsey. The miniature mechanism cuts the energy needed to operate the lightning seconds by a factor of 1800. 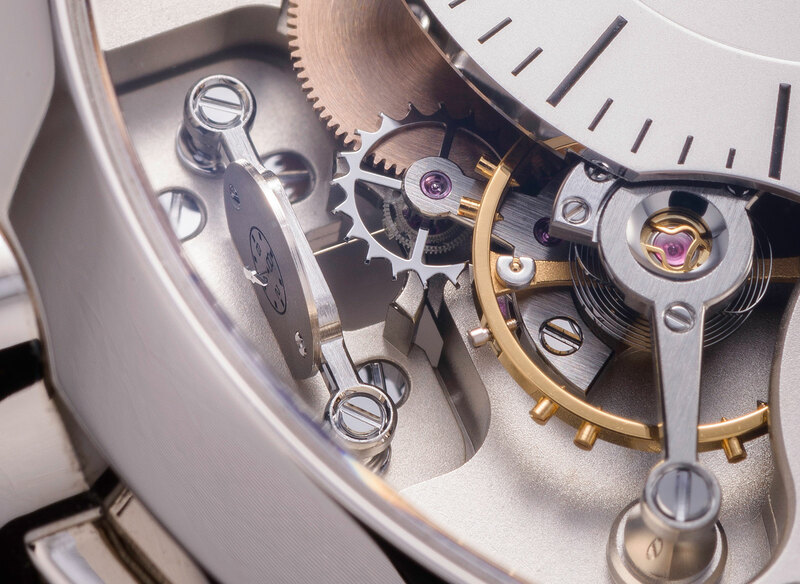 Beyond the tremendously reduced scale of the mechanism – the disparity in size between the lightning seconds gearing and the balance wheel is visible below – the construction of the foudroyante is novel. 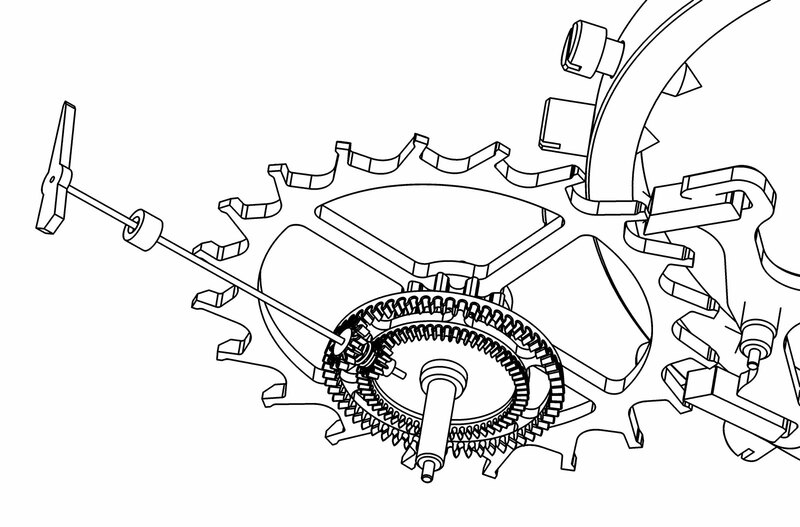 It’s essentially a series of tiny gears (including a conical, bevelled gear to translate the lateral gear motion into vertical motion of the lightning hand) connected directly to the escape wheel, bypassing the gear train. The gears have a low moment of inertia, meaning they need very little energy to turn. While the mini-lightning seconds is displayed in the same manner as a conventional version of the complication – a hand that makes eight steps around a sub-dial every second – the Nano Foudroyante EWT is so tiny the hand has to be magnified 23 times to be visible. More on the new technology will be revealed in due course, but one of the most interesting aspects of the development is not the mechanism itself, but how such remarkable small parts are produced to the required tolerances. As Stephen Forsey explained at SIHH 2017, the goal of the Nano Mechanical movement is not a make a remarkably tiny movement for the sake of sheer size, but to free up space and energy for more or better complications.